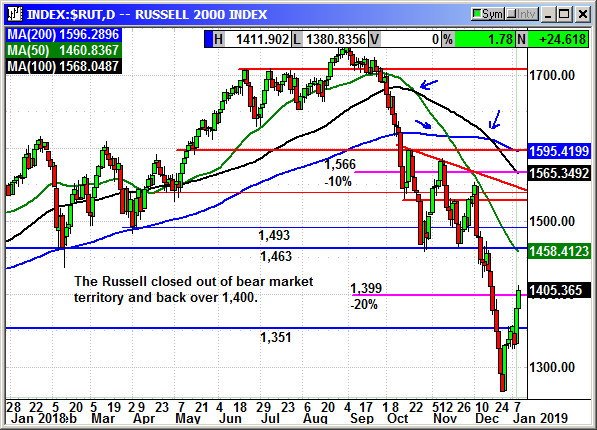 The Russell 2000 added nearly 25 points and 1.78% to lead the broader averages. With the diminished threat of future rate hikes investors are coming back to the small cap stocks. The Russell is leading again and never traded in negative territory unlike the Dow. If this trend continues the rest of the week, bullish sentiment will spike significantly. This could be the start of a major uptrend. However, the biggest rallies come in bear market declines because of the oversold extremes. I do not think that is the case this time and I expect the trend to continue higher.